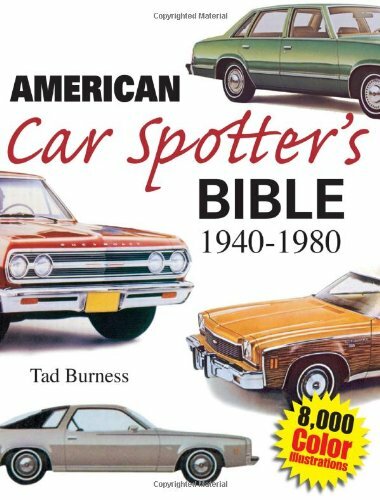 American Car Spotter's Bible 1940 - 1980 is the one tool you need to positively identify older vehicles by their appearances or special features. This comprehensive collection of more than 8,000 color illustrations straight from manufacturers' original sales catalogs and advertisements, compiles by auto historian Tad Burness, is perfect for identifying cars from 1940 - 1980, searching for missing parts while completing restoration projects and for sheer reading enjoyment. American Car Spotter's Bible 1940 - 1980 gives you the information you need to make a positive identification every time - quickly and easily, so grab the wheel and take it for a spin.